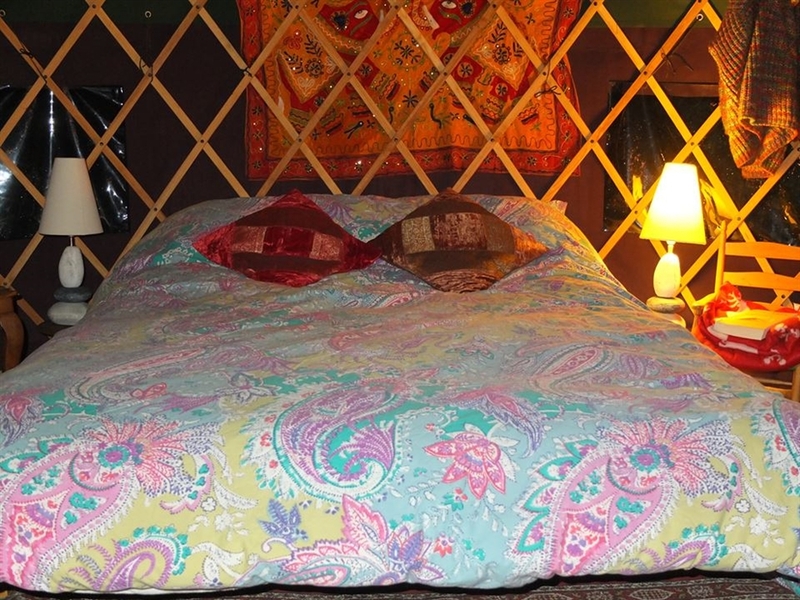 Our beautiful, warm, cosy, hand made yurt, which sleeps six people is situated in our farmhouse garden. 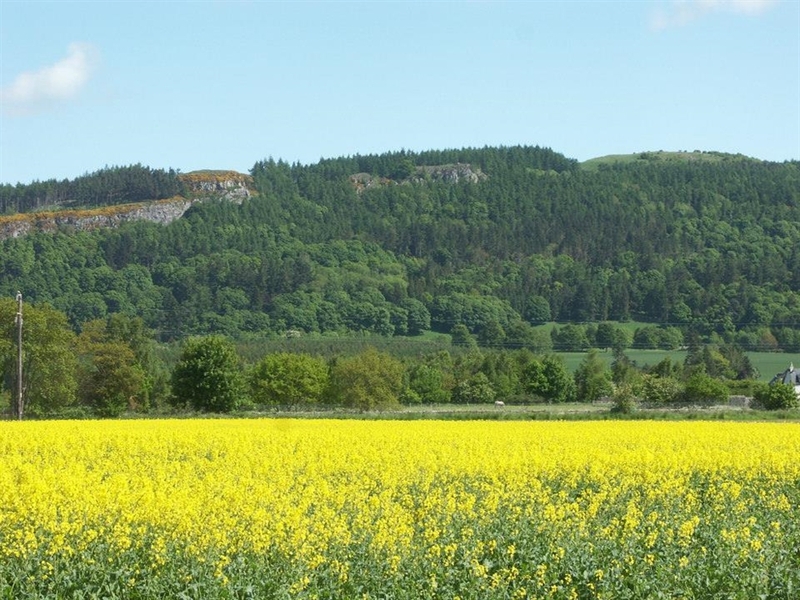 We are in a rural setting on the edge of the Bridge of Earn, ideally situated for exploring lovely Perthshire. 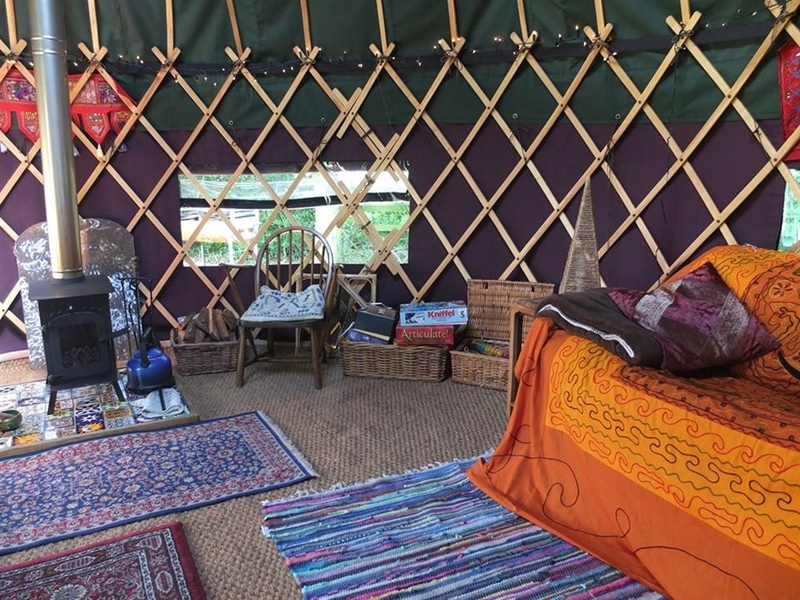 Our yurt is an amazing unique space to relax and spend some time exploring this lovely corner of Perthshire. 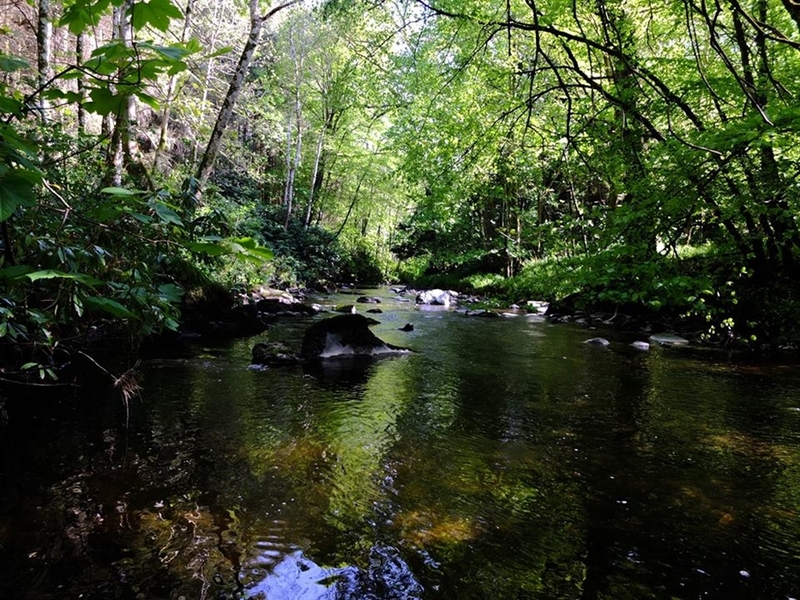 It is within walking distance to the Bridge of Earn where there are shops and a couple of pubs, a Chinese and Indian takeaway and a fish and chip shop. There are lovely walks directly from the house. 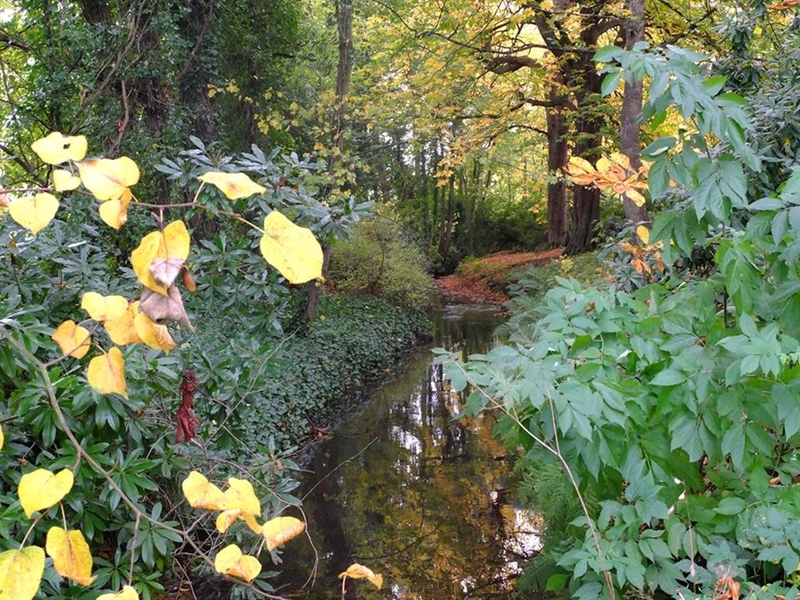 Moncrieffe Hill is a local beauty spot, great for walking and managed by The Woodland Trust. 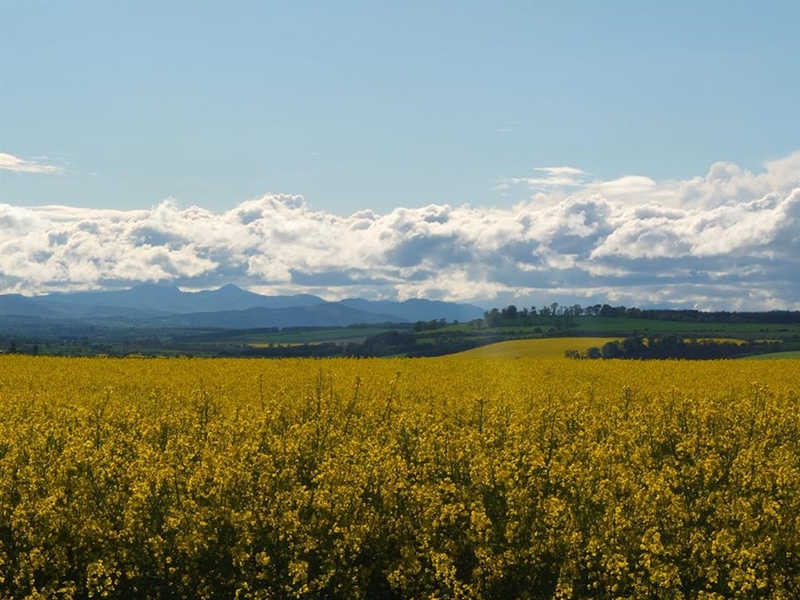 The beautiful city of Perth is just a ten minute drive away. Motorway access to Edinburgh and Glasgow is very easy and we are equidistant from the two cities (an hour's drive). 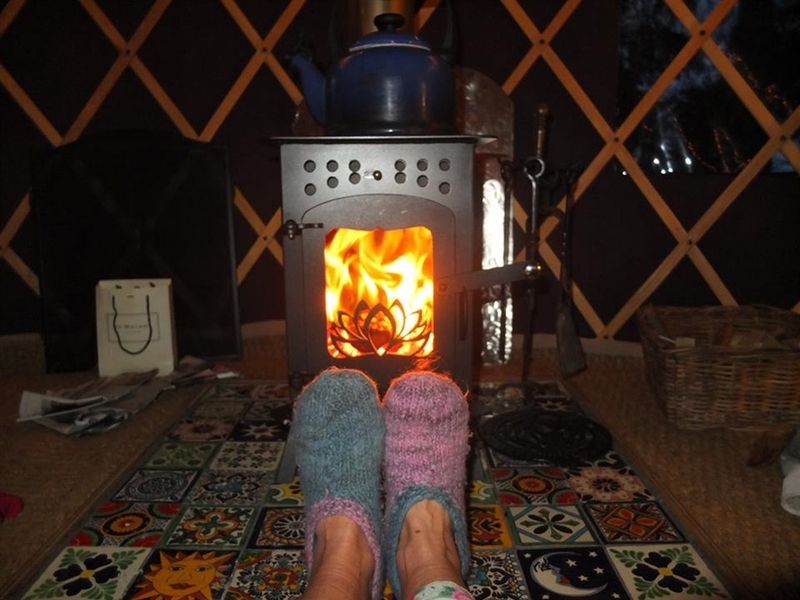 The ski slopes of Glenshee are also only an hour away so if you would like a ski holiday this is a perfect location. Breakfast is included in the price and we also offer delicious, vegetarian evening meals on request. 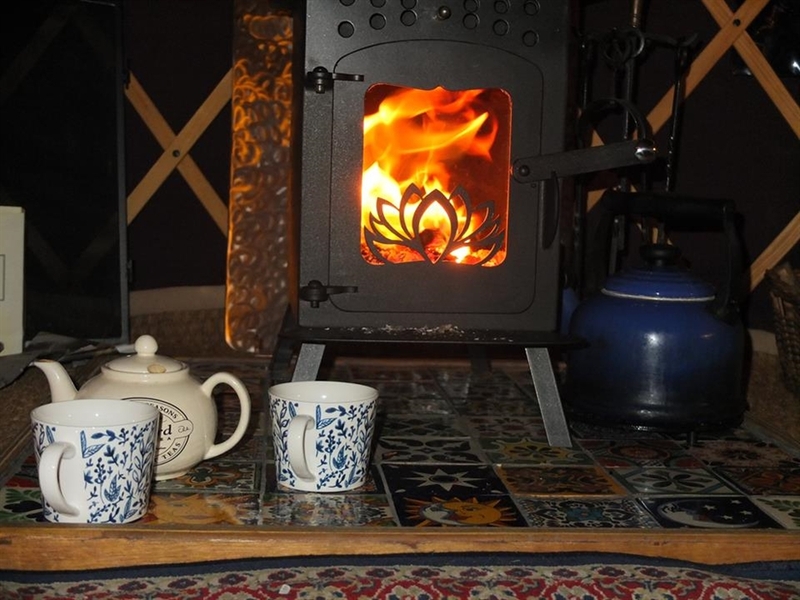 Inside the yurt there is a wood burning stove and electricity. 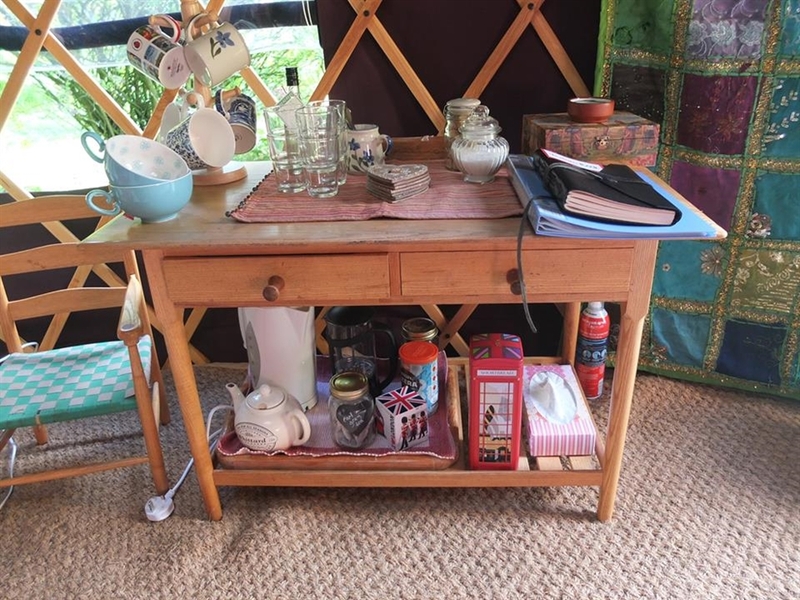 Tea and coffee making facilities are provided inside the yurt. There are three, double futons for comfortable sleeping in this beautiful communal space! 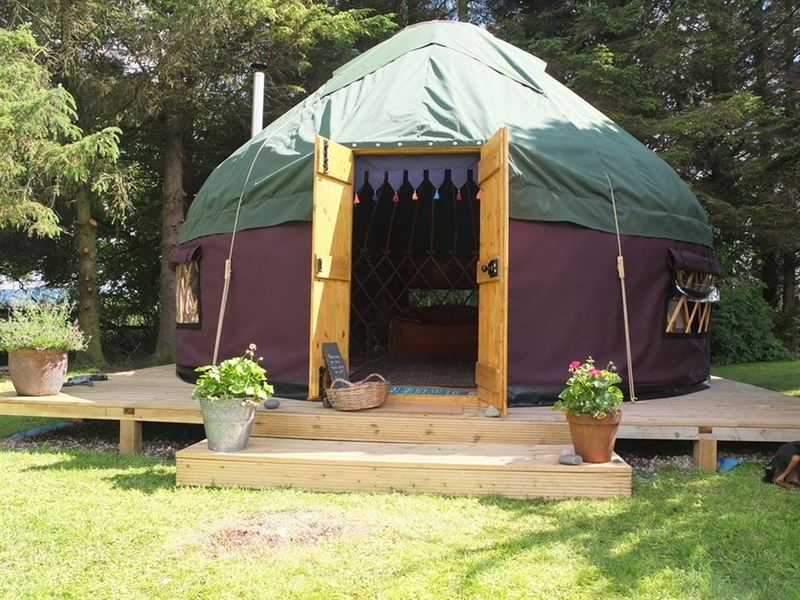 Guests have access to the yurt from either the side entrance to the garden or the from the front of the garden. The bathroom (shower) is situated on the ground floor of our house and is accessible from the back of the house. There is plenty of parking space here too. There is a fire pit and a bbq in the garden which guests may use. 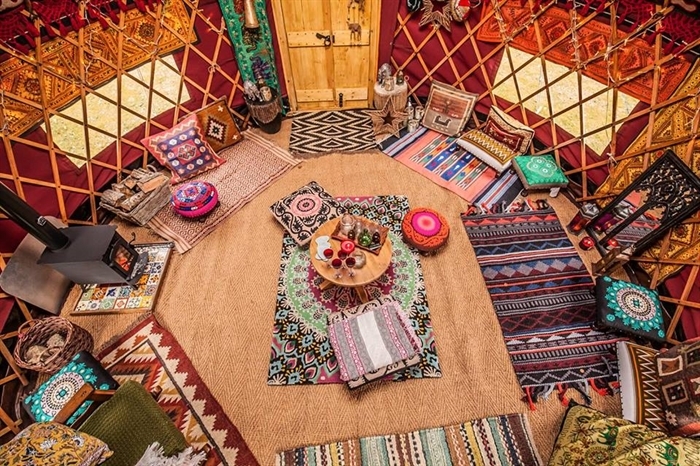 We tend to leave guests to enjoy the space but are around if help with anything is required.